USB 2.1A, 1A, and .5A compatible. Compatible with all three CH-5 & CH-8 Charger Generations (sold from 2012 - Present); Some USB power transformers do not detect generation differences and oversupply voltage to older charger bases. 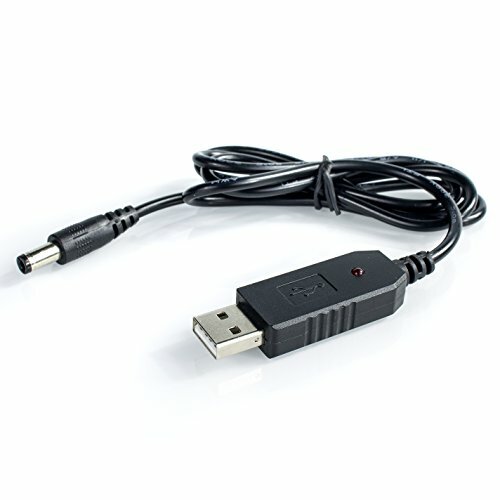 Great for use with automotive USBs, computer USBs, AC - USB adapters, and solar panel USB chargers. USB 2.1A, 1A, and .5A transformer compatible - Transforms directly to the 10V DC charger bases. Charge your BaoFeng radio from a solar panel USB, computer USB, car USB, or any USB slot . Compatible with all three CH-5 & CH-8 Charger Generations - Some USB power transformers do not detect generation differences and oversupply voltage to older chargers.